The United Nations Human Rights Committee has recommended that Italy do more to ensure women have better access to free and safe abortions amid concerns that doctors are not providing terminations because it goes against the teachings of their faith. The panel was also concerned about “the significant number of back-street abortions.” The lack of access to safe abortions has seen many women seek assistance from unlicensed medical practitioners - for which they face fines of between €5,000 and €10,000 if caught. The new fines were introduced last year to replace a symbolic €51 fine, aimed at encouraging women who procure back-street abortions to speak out against those who performed the procedure. 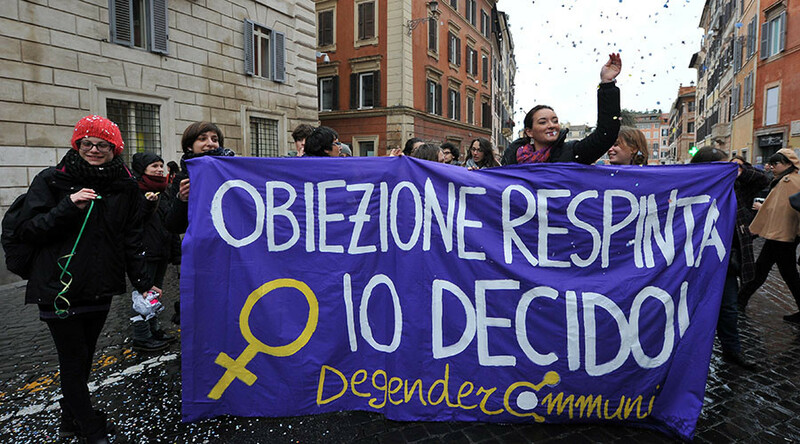 In February, a Rome hospital caused an outcry after hiring two doctors charged solely with providing abortion services due to the high number of conscientious objectors in the city, 78 percent of which are in the Lazio area of the Eternal City. Under the proposal, women experiencing painful periods would be entitled to three days of paid leave each month. While some commentators see this as a positive step for women's rights, others are not so enthused about the proposals, citing the possibility that it would further encourage companies to hire men over women. Italy currently offers paid maternity leave for five months to mothers at 80 percent of their salary, however a report by Italy’s national bureau of statistics found that almost 25 percent of those who avail of the mandatory leave are either fired during pregnancy or just after, though this is an illegal practice in the country.